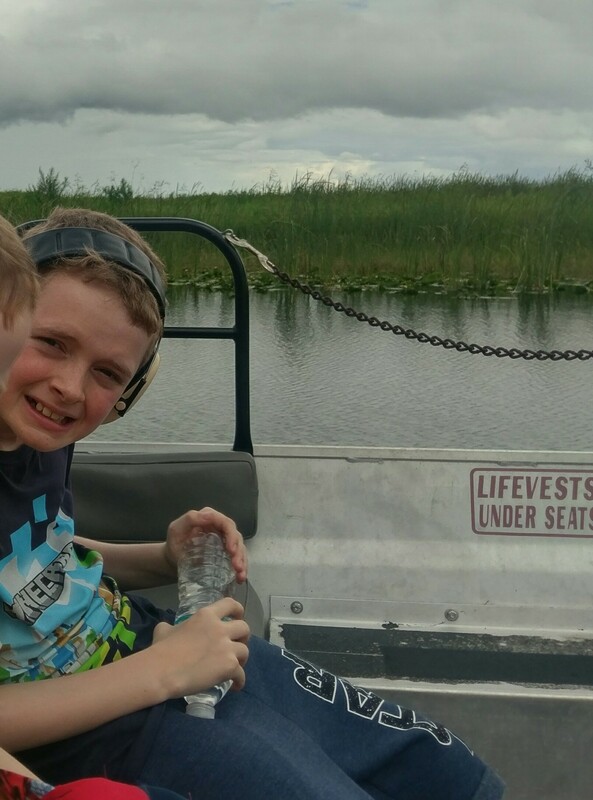 It’s hard not to smile as you zoom through the beautiful Florida swamps on an airboat! Whizzing along with the wind in your hair. 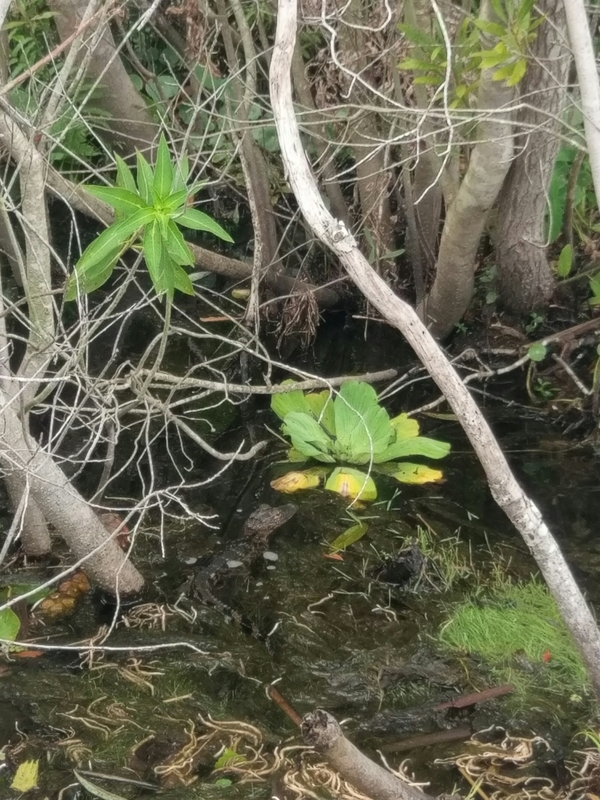 Meandering along the watery passageways, passing beautiful flowers, amazing skies and the occasional baby alligator! The children next to you giggling and squealing with excitement and delight! Although weather dependant, tours run all day every day. 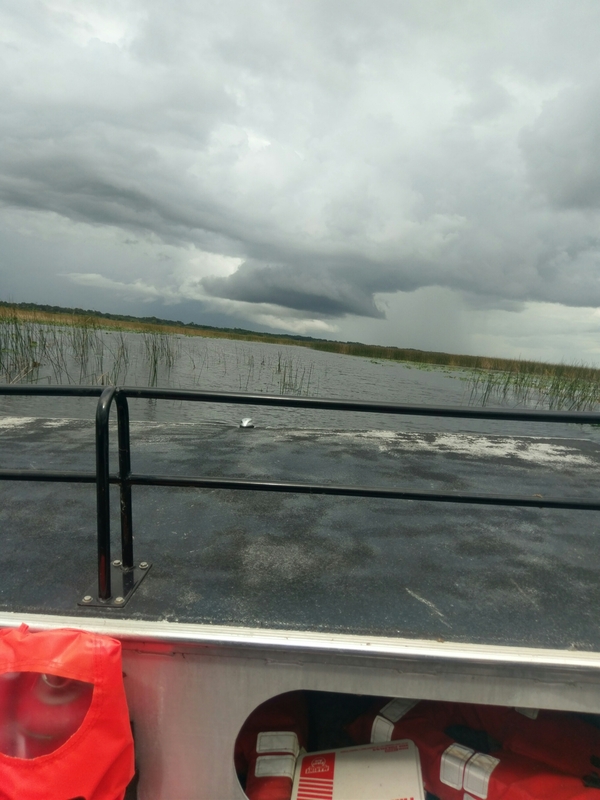 We brought tickets in advance and were able to turn up and use them whenever we liked without booking so one free afternoon we decided to head out to the swamps and have a go at alligator spotting! When we arrived we visited the little gift shop, which also helpfully had toilets and sold drinks. Then we headed over to the jetty and showed our tickets. We had a small wait but the outdoor, shaded seating with games passed the time nicely. 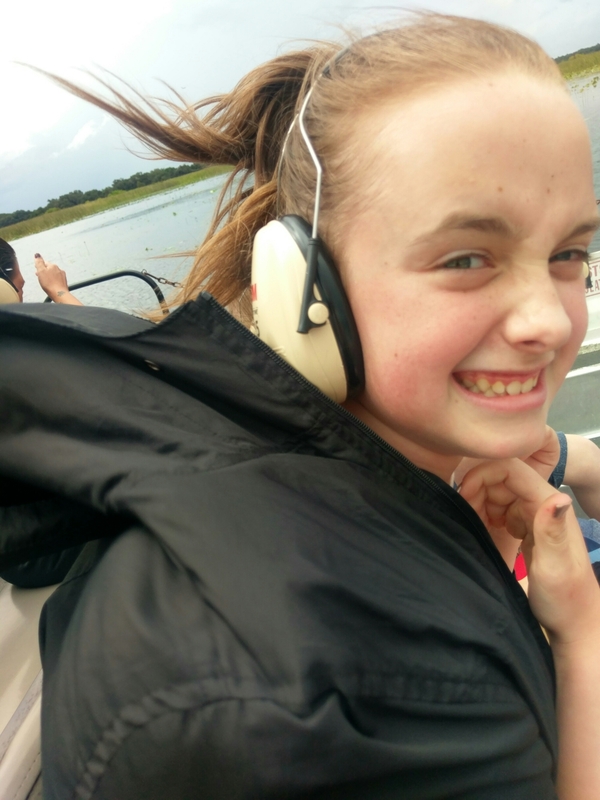 When it was our turn we were all given ear defenders as the boats are very loud! We climbed into the boat and off we went. 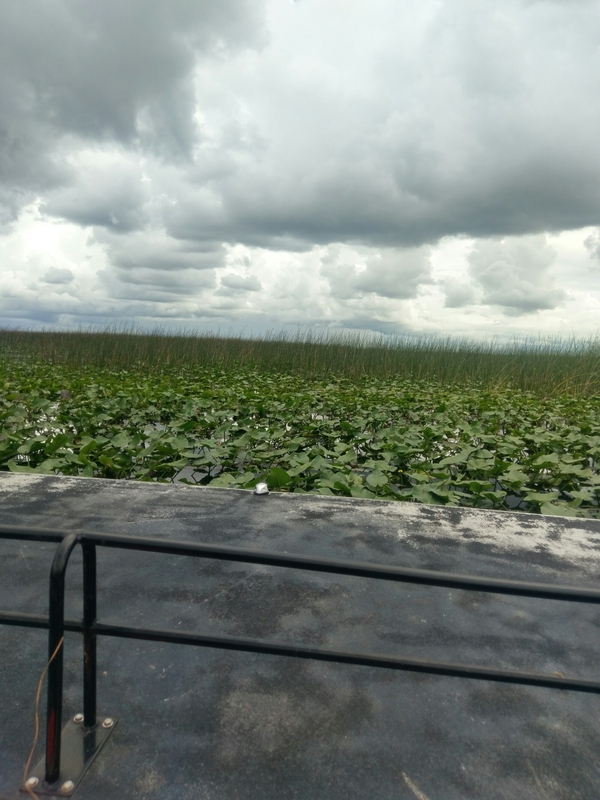 The driver was great, we had a good mix of high speed excitement coupled with informative stops about the wildlife and area. 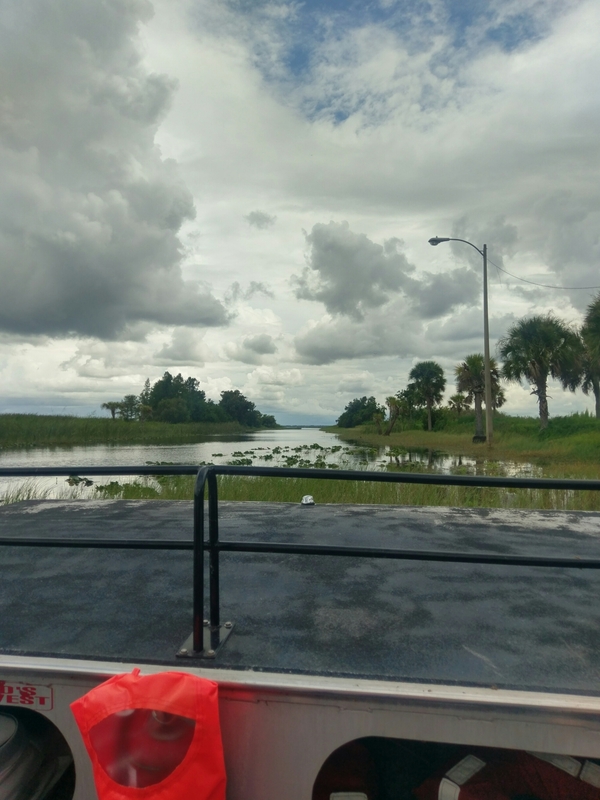 The driver also knew the right places to look and we soon spotted 2 baby alligators! As the sky was starting to look pretty stormy we headed back a few minutes early. After your airboat ride you are able to meet a real alligator from gatorland and have an optional picture taken with it. To finish off the kids showed their kids eat free cards in the ticket kiosk and were each given a pack of boggy creek playing cards as a free souvenir! I expect we will be back next time for some more high speed fun! 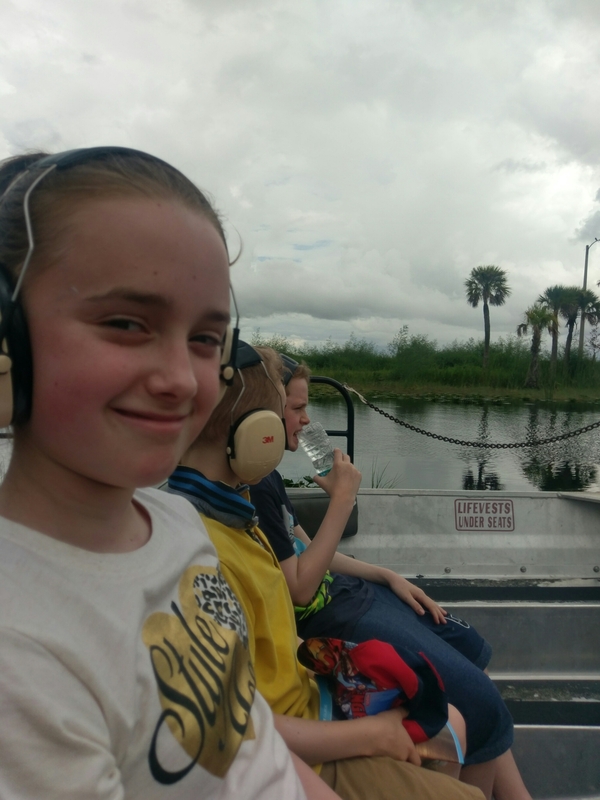 Boggy Creek Airboat Rides with a child with an ASD? It is loud!! But ear defenders are available for everyone. There are no seatbelts so there is a need to be able to sit on the seat whilst moving and obviously stay in the boat when stopped. You can do different length tours with 30 minutes being the shortest. There are benches in the shade to sit on whilst waiting and the boats don’t get too busy. If you don’t pay for a private trip there will be strangers on your boat. There is not a fence all the way along the edge of the water at the jetty. There are machines to buy food to feed the fish. It is fast and fun, my son loved it. I would say it is best to weigh it up depending on your child’s needs and if still in doubt then send them a message online. Boggy creek airboat rides can be found at: http://bcairboats.com/?fullscreen=true Tickets are available online directly from Boggy Creek Airboats although from the UK they can also be bought from www.americanattractions.co.uk/airboat-rides-orlando-tickets. It is also fine to turn up and pay on the day as tours run every 30 minutes every day. Previous Post Mickey’s Not-So-Scary Halloween Party at Disney World, Florida!